We are able to determine gender! The most common reason mothers-to-be come to visit Unique Peek early in pregnancy is to find out the gender of their baby. You may be wondering what to expect when you come for gender determination at Unique Peek since this will probably be your first visit with us. Before your scan begins, you can expect to walk in the door and be greeted by our wonderful staff at the front desk who will help make you feel at home and comfortable while you wait (anxiously). Once we start scanning, you will see the baby first in 2D (even if you came in for a 4D ultrasound). This is because gender is ALWAYS determined in 2D. And actually, in order to obtain a 4D or HD image, we have to begin with 2D. 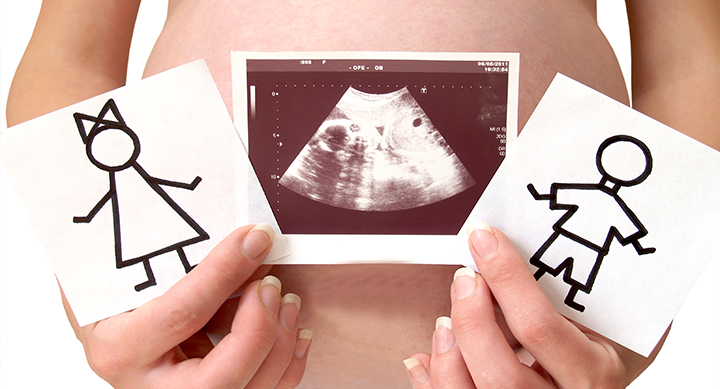 Depending on the position of the baby, we will either look at the gender first or listen to the heartbeat.